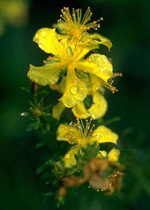 If you’re severely depressed and have suicidal tendencies, consult a health professional before taking St. John’s Wort. Don’t take St. John’s Wort if you’ve been diagnosed as bipolar. Don’t stop prescription medications – consult a health professional first. If you’re pregnant or lactating, don’t take anything without first consulting a health professional. Some side effects associated with taking St. John’s Wort are mild to severe allergic reactions, sensitivity to light, tiredness and nausea. You could also experience a lessened libido, headaches, dizziness and dry mouth. If you’re thinking of taking St. John’s Wort, seek the advice of a health professional before you begin as it may react dangerously with some medications and ingredients in food.